Lakeland Emergency Squad, in cooperation with the Sussex County Sheriff’s Office of Emergency Management & the New Jersey EMS Task Force, operates a Special Operations Team dedicated to the rehab of Sussex County’s Firefighters, EMS, Police, and OEM personnel during strenuous incidents. Lakeland EMS has been providing this service to our area emergency responders for several years, formerly in a 30’ travel trailer provided to the Squad by SCSO OEM’s fleet of FEMA trailers. 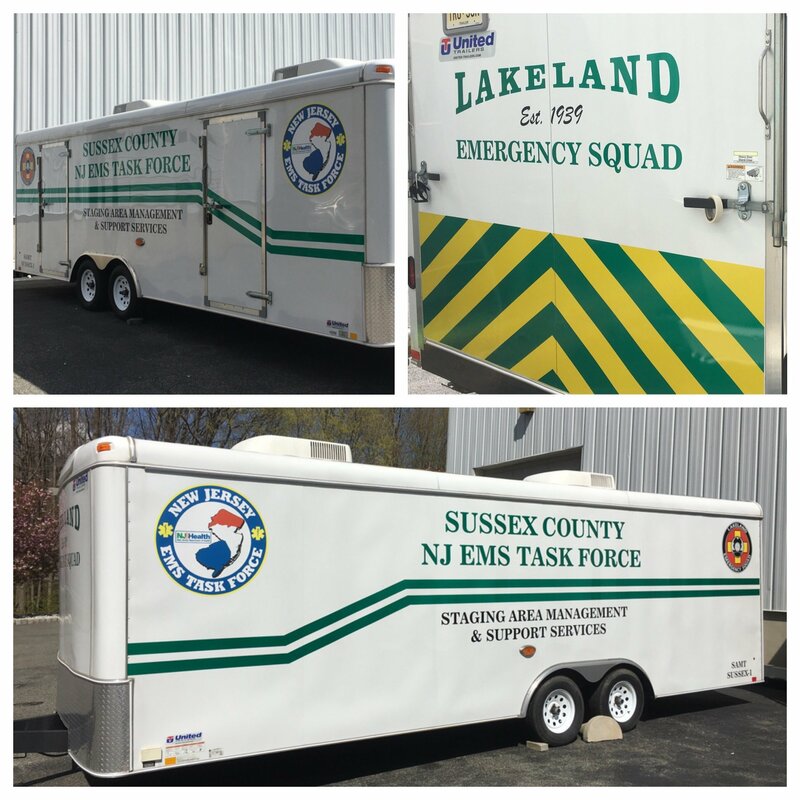 The initial trailer was retired in 2016 upon the Squad putting in to service a New Jersey EMS Task Force asset, Sussex SAMT-1, assigned to Lakeland by the NJEMSTF for the County. Rehab is an imperative function for emergency workers to receive while performing strenuous duties at the scenes of fires, accidents, searches, haz-mat, wildland rescues, extended police incidents and other large emergencies to maintain their good health in these conditions. Heart attacks and other critical medical conditions contribute to a large percentage of line of duty deaths across the country due to the exertion placed on the body during these such incidents. We are working closely with the Sussex County Fire Marshal and Fire Chiefs’ Association, and closely following guidelines already established by NFPA for rehab. This unit is available to all of Sussex County’s emergency service agencies. Our members have committed to operating and transporting this unit whenever and wherever the need arises. We will work alongside the other EMS agencies in the County who will be providing medical personnel to operate the unit during an incident in their coverage area. Lakeland EMS is always seeking donations for equipment and supplies to outfit the trailer from retailers and private donors within the County to help us purchase some advanced medical evaluation equipment. Email us at rehab@lakelandems.org with any questions or comments you may have. Our goal remains…early recognition and early intervention of critical medical conditions affecting our emergency responders. Fire service motto…everyone goes home. Please email us at rehab@lakelandems.org to arrange for drop-off of these such donations. Thank you in advance! !